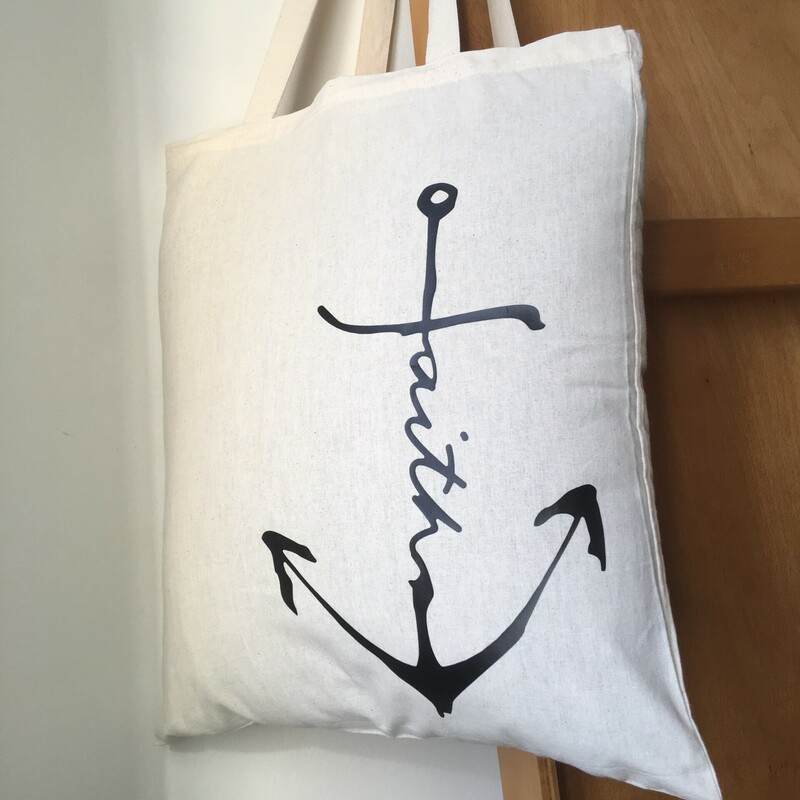 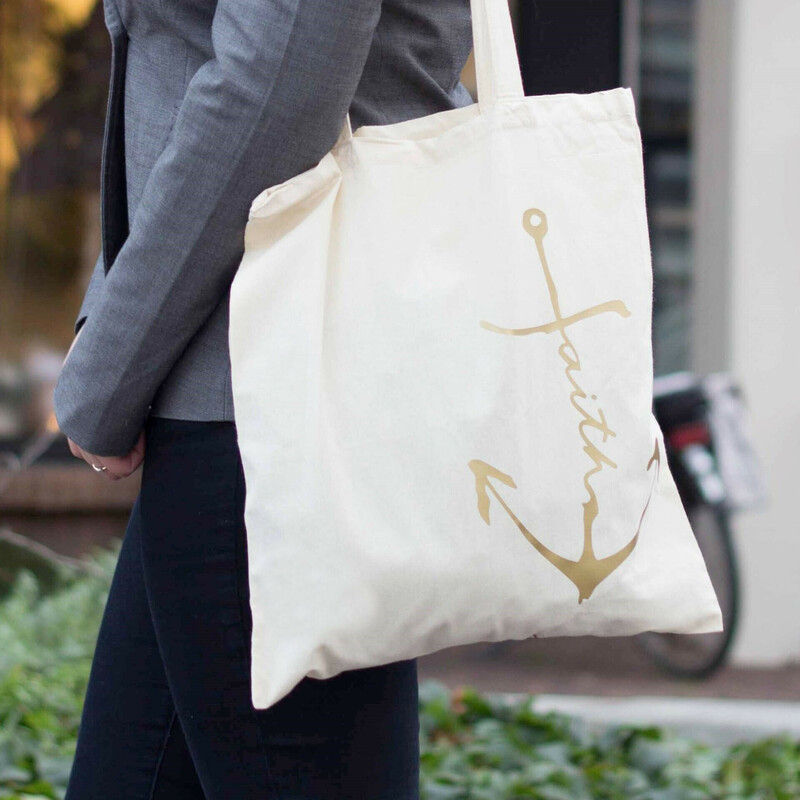 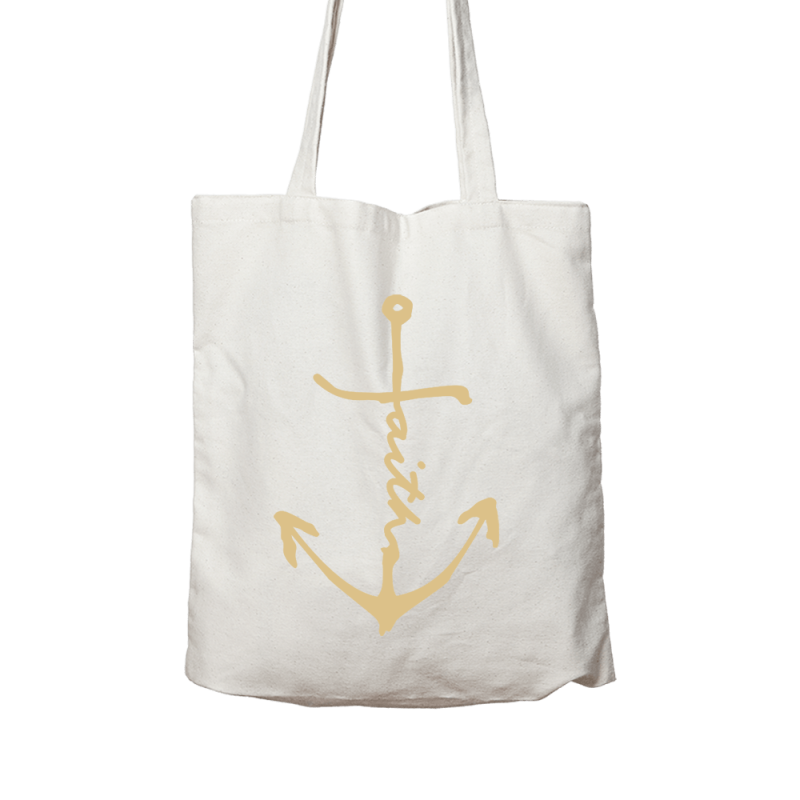 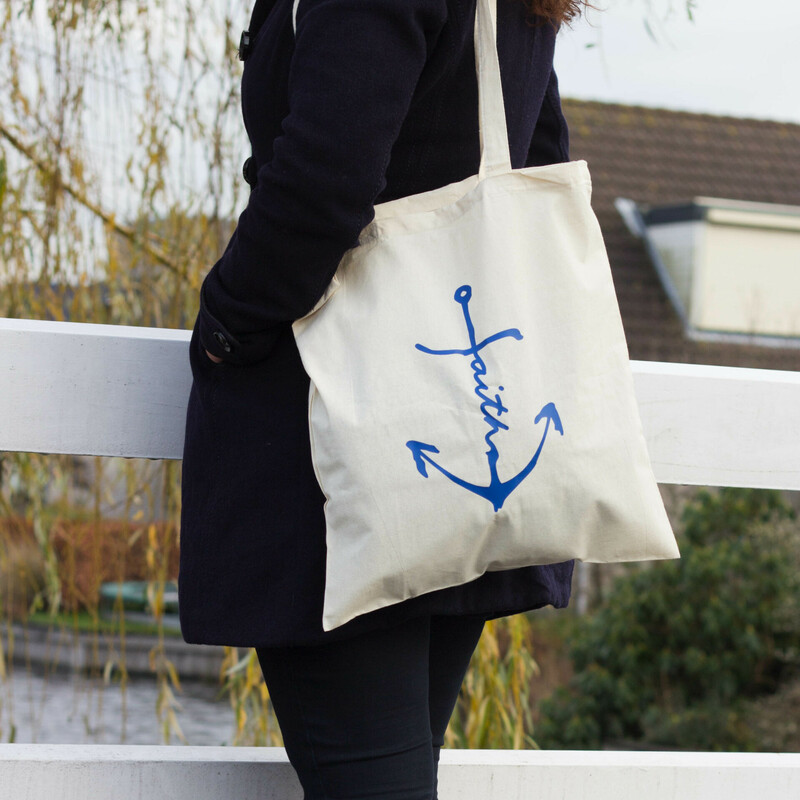 The classic Faith Lifeline Anchor as a solid print on a linen bag. Placing on bag: centered or in a corner. 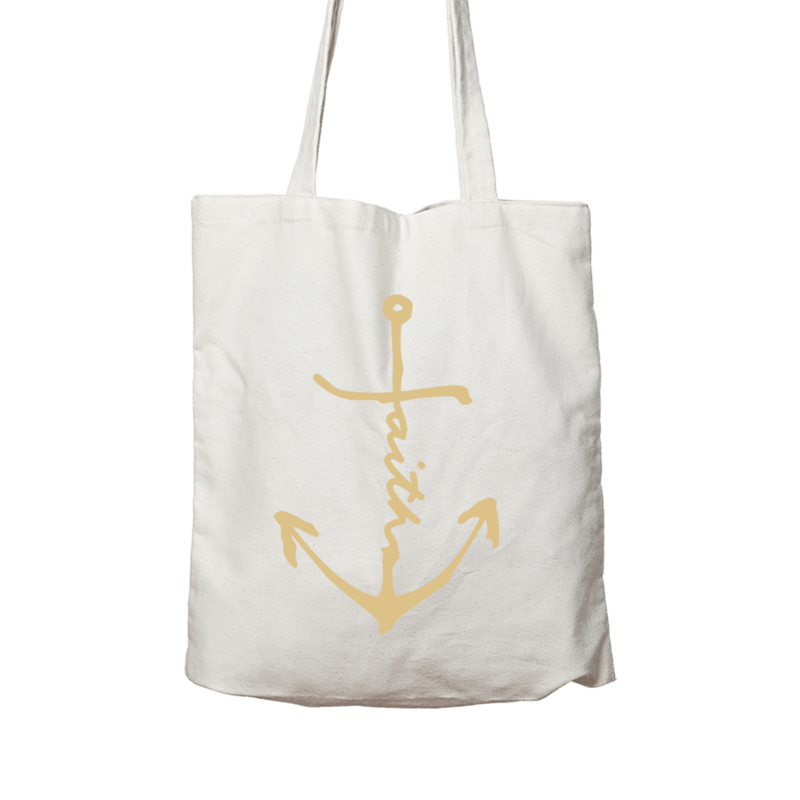 Printing colors available: dark blue, gold and black. Also available in luxury glitter versions: gold, rose gold or black.